As improbable as it sounds, there are plants that can digest rats and other small vertebrates. A menu of rats may be expected with coyotes and owls—but plants? As improbable as it sounds, there are plants that can digest rats and other small vertebrates. Recently, news agencies and websites were deluged with headlines that a new species of “rat-eating” plant was discovered by a botanical team led by Stewart McPherson.1 Apparently the researchers got wind of a story that took place in 2000. As the tale goes, two Christian missionaries to the Philippines got lost in central Palawan while attempting to ascend Mount Alexandria.2 They were rescued 13 days later and recounted seeing large carnivorous pitcher plants on the slope of the mountain. Their botanical descriptions were unique enough to cause McPherson and team to mount a two-month expedition to the area in 2007. Upon hiking through dense forests and climbing up Mount Alexandria, they spotted the first specimen at around 1600 meters in elevation. As they suspected, it was a species of pitcher plant unknown to the botanical community. They dubbed it Nepenthes attenboroughii, in honor of famed British natural history broadcaster Sir David Attenborough,3 and concluded that it is one of the largest pitcher plants in the world. Some measured 30 cm (12 in.) in diameter and were able to hold animals the size of rats, though arthropods make up the majority of creatures digested. Nepenthes deaniana, another large pitcher plant unseen for 100 years, was also rediscovered during this expedition, and many had large arthropods trapped in them, including giant centipedes and 10 cm (4 inch) spiders. What are these plants? Why do they eat animals and how are we to understand them within a biblical model of creation? According to the Botanical Society of America (BSA), there are approximately 11 families and two subfamilies that encompass about 600 species of carnivorous plants worldwide.4 They tend to grow in low nutrient environments where nitrogen and phosphorous are limited. Nitrogen is a crucial element because, among other things, it provides the basis for protein and nucleic acid synthesis. Phosphorous is a key component of adenosine triphosphate (ATP) and other complex organic compounds critical to living creatures. In the absence of either element, life would cease. Whereas most plants get these nutrients from the soil via roots, carnivorous plants may obtain their nitrogen and phosphorous from the soil through roots and/or the bodies of animals that fall in their traps.5 The traps are modified leaves and come in six models: the pitfall trap (pitcher plants), lobster-pot trap (one species of pitcher plant), eel trap (corkscrew plant), flypaper traps (sundews and butterworts), snap traps (Venus flytraps and the waterwheel plant), and suction traps (bladderworts). Figure 1. Northern pitcher plant. Pitcher plants are found in four major families, but most are in Nepenthaceae and Sarraceniaceae.6 Pitfall traps are similar in all pitcher plants; however, there are unique permutations in the trapping details depending on the species and habitat. For example, in the northern pitcher (Figure 1—Sarracenia purpurea) downward facing hairs make it difficult for insects to turn around and get back out, increasing the chances of falling in. The plant contributes little to its digestive chemistry, instead, the liquid pool contains symbiotic bacteria that produce the needed digestive enzymes. Also, as ants are caught and digested, they provide formic acid which further decreases the pH (sometimes as low as 2) and also enhances plant digestion and absorption.4 Conversely, pitfalls in Nepenthes often produce their own digestive chemistry from glands located in the trap. Monkey cups are so named because monkeys have been observed drinking rain water from the pitchers. Most plants of this genus produce two types of pitcher leaves (pitfall traps). This is known as leaf dimorphism. As Nepenthes tend to grow as hanging plants, many pitchers are suspended in midair and attached to narrow stems that proceed from the end of typical looking leaves. Many hanging pitchers produce tendrils that anchor them to nearby supports. When the overall length of a plant finally results in pitchers touching the ground, the ground-level pitchers take on a somewhat different morphology from their hanging counterparts. Elevated pitchers tend to be smaller and vary in color. Differing morphologies are thought to attract different prey species—while their development is nothing short of miraculous. Pitchers on the ground may produce an elongated midrib, or central vein, that extends away from the main body producing a coiled tendril.9 The midrib seems to act as a pathway to lure and guide crawling prey up the body of the pitcher to the nectar covered rim. In the largest, Nepenthes rajah, once the tendril touches the ground it inflates into a pitcher plant capable of holding 3.5 liters of liquid.10 Consequently, the operculum (lid), thought to prevent rainwater from diluting the digestive chemicals, opens and signals trap readiness. Odors and colors are thought to attract the animals. However, not all Nepenthes species have the above traits, and there is evidence that the pitfall trapping success is more complicated than first thought. The chemical make-up of the liquid pool is composed of highly viscous and elastic fluid (viscoelastic) properties that keep the organism from escaping.13 This property may be more important than the morphology of the inner pitcher itself in the trapping success of plants. Larger animals like mice,4 lizards, and frogs have been found in large pitchers like Nepenthes rajah, but verification of these data has been both difficult and rare. 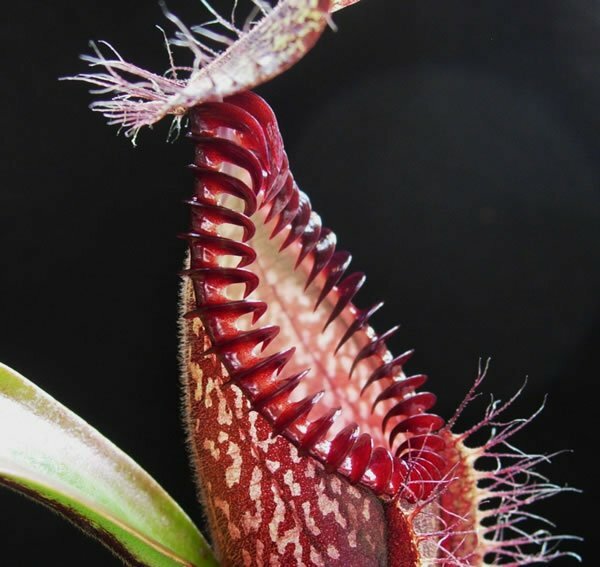 I’m aware of only three confirmed accounts of rats being found dead inside Nepenthes rajah plants,14 making reports about “rat-eating” pitchers exaggerated. Though Nepenthes attenboroughii rivals the biggest of pitchers and is capable of digesting rats, confirmed reports are lacking. By far, the majority of creatures digested by carnivorous pitchers are arthropods that include insects and spiders. Baraminology is a uniquely creationist classification method for determining the “created kind” (Heb. bara [create], mîn [kind]). 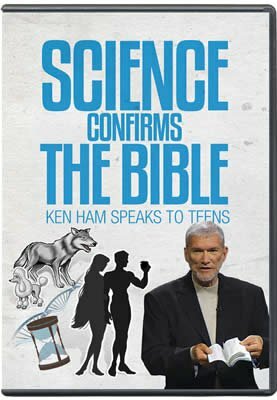 Turner emphasizes that though the study of the created kinds is helpful, creationists should be careful because the word is tough to define and seemingly imprecise.20 To demand a precise definition is not possible and should be used tentatively when trying to determine the “created kinds.” He concludes that the focus of such research should be to let the biblical text speak for itself and to realize that what creation research identifies as a baramin, may not be equal to the biblical definition of same. N. bicalcarata has spaces in its elevated pitchers for carpenter ants (Camponotus schmitzi) to build nests.23 These take advantage of the pitchers’ ability to attract other arthropods, and when they arrive, the ants prey on them. The ant is benefited by the plants ability to attract prey. Conversely, it is hypothesized that the pitcher is benefited because the ants reduce the amount of accumulated bodies which would otherwise putrefy in the trap through decomposition. If there are too many organisms decomposing in the pitfall, it may deleteriously harm the infauna living in the pitcher, which in turn affects their symbiotic ability to aid in the plant’s digestion. N. lowii is a montane species found in Borneo that produces a leaf dimorphism such that two very different types of pitchers develop. The immature plants produce the classic pitcher designed to digest arthropods. However, as the plant matures it produces a pitcher that lacks the carnivorous traits and instead is visited by tree shrews that ingest exudates produced by the pitcher. They then proceed to defecate into the cup.24 The symbiosis seems to be mutual in that the tree shrews gain nutrition from N. lowii, and in return the pitcher obtains between 57 and 100% of the needed nitrogen from tree shrew feces. Previous Article Microbiota Next Article The End of Irreducible Complexity? CNN, “Botanists Discover New Rat-eating Plant.” Accessed 26 August 2009. RedOrbit Science News, “New carnivorous plant species found.” Accessed 26 August 2009. For further insight into Sir David Attenborough views on Christianity and Creation, see Famous Evolutionist Told to “Burn in Hell”. Botanical Society of America, “Carnivorous Plants/Insectivorous Plants.” Accessed 26 August 2009. W. Schulze, E.D. Schulze, J.S. Pate, and A.N. Gillison, “The Nitrogen Supply from Soils and Insects during Growth of the Pitcher Plants Nepenthes mirabilis, Cephalotus follicularis, and Darlingtonia californica,” Oecologia 112 (1997): 464–471. One thing to keep in mind is that there is a dispute among carnivorous plant aficionados as to which plants should or should not be classified as carnivorous. Hence, the number of species can vary from expert to expert. A prime example is Darlingtonia californica, aka “cobra lily.” It is a monotypic taxon in the Sarraceniacea family. This plant, though menacing in appearance, does not produce digestive enzymes. It depends on symbiotic relationships with bacteria and mosquitoe larvae to break down the tissues of captured prey. Ergo, there are some carnivorous plant purists who claim, on the basis that this plant cannot "digest" its own food, that it should not be classified as a true plant carnivore. The majority would claim it is though. The other families are Cephalotaceae and Bromeliaceae. Family Sarraceniaceae includes the pitcher plants found in eastern North America (genus Sarrecenia), the “cobra lilies” of the U.S.A.’s Pacific Northwest (genus Darlingtonia), and the sun pitchers from the mountains of South America (genus Heliamphora). Family Cephalotaceae contains one genus and a single species of pitcher plant called the Albany pitcher found in peat bogs of southwest Australia. Family Bromeliaceae, of which the pineapple is a member, contains two subfamilies with carnivorous pitchers. Subfamily Pitcairnioidea (genus Brocchinia) has at least two species that live in South American mountain and savanna environments. Subfamily Tillandsioideae (genus Catopsis) contains one species of carnivorous pitcher and can be found in humid habitats of South and Central America, Florida, and the West Indies. C. Linnaeus, Nepenthes: Hortus Cliffortianus, (Amsterdam,1737). H.J. Veitch, “Nepenthes,” Journal of the Royal Horticultural Society 21 no. 2 (1897): 226–262. For fascinating time-lapse photography showing the tendril inflating into a pitcher, see Sir David Attenborough’s The Poisonous Pitcher Plant—The Private Life of Plants. Accessed 28 August 2009. ASEAN, “Rajah Brooke’s Pitcher Plant.” Accessed 28 August 2009. M. Riedel, Eichner, and R. Jetter, “Slippery Surfaces of Carnivorous Plants: Composition of Epicuticular Crystals in Nepenthes alata Blanco Pitchers,” Planta 218 (2003): 87–97. H.F. Bohn and W. Federle, “Insect Aquaplaning: Nepenthes Pitcher Plants Capture Prey with the Peristome a Fully Wettable Water-lubricated Anisotropic Surface,” PNAS 101 no. 39 (2004):14138–14143. L. Gaume and Y. Forterre, “A Viscoelastic Deadly Fluid in Carnivorous Pitcher Plants,” PLoS ONE 2 no. 11 (2007): e1185. doi:10.1371/journal.pone.0001185. A. Phillipps, “A Second Record of Rats as Prey in Nepenthes rajah,” Carnivorous Plant Newsletter 17 no. 2 (1988):55. J. Bergman, “The Evolution of Plants: A Major Problem for Darwinism,” Journal of Creation (TJ) 16 no. 2 (2002):118–127. K.P. 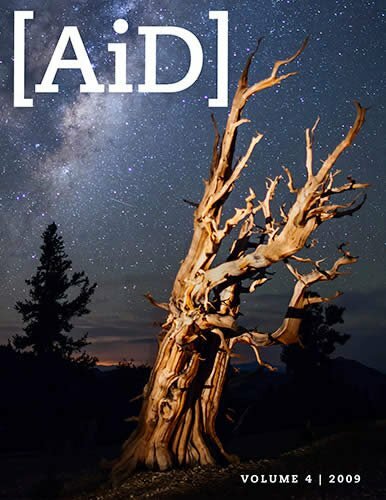 Wise, “Creation Biology Suggestions from Evolutionary Genetics,” in Occasional Papers of the BSG 13, Genesis Kinds: Creationism and the Origins of Species: Proceedings of the Eighth BSG Conference, ed. Roger Sanders (2009), pp. 6–7. Genesis 1 and 2; Colossians 1:15–17 . D. Kennard, “Hebrew Metaphysic,” Answers Research Journal 1 (2008): 169–195. R.W. Sanders and T.C. 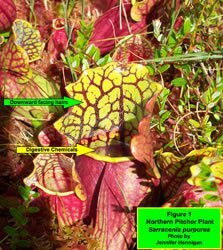 Wood, “Creation and Carnivory in Pitcher Plants of Nepenthaceae and Sarraceniaceae,” in Occasional Papers of the BSG #10: All Creation Groans: The Problem of Natural Evil, ed. Roger W. Sanders (2007). K.J. Turner, “The Kind-ness of God: A Theological Reflection of Mîn, ‘Kind,’” CORE Issues in Creation 5 (2009):31–64. T.C. Wood, K. Wise, R. Sanders, and N. Doran, “A Refined Baramin Concept,” Occasional Papers of the BSG No. 3 (2003):1–14. J.W. Francis, 2009. Symbiosis, relationship and the origin of species,” CORE Issues in Creation 5 (2009):163–192. C.M. Clark, Nepenthes of Borneo (Kota Kinabalu: Natural History Publications [Borneo], 1997). C.M. Clark, U. Bauer, C.C. Lee, A.A. Tuen, K. Rembold, and J.A. Moran, “Tree Shrew Lavatories: A Novel Nitrogen Sequestration Strategy in a Tropical Pitcher Plant,” Biology Letters (2009): doi:10.1098/rsbl.2009.0311 (published online before print).